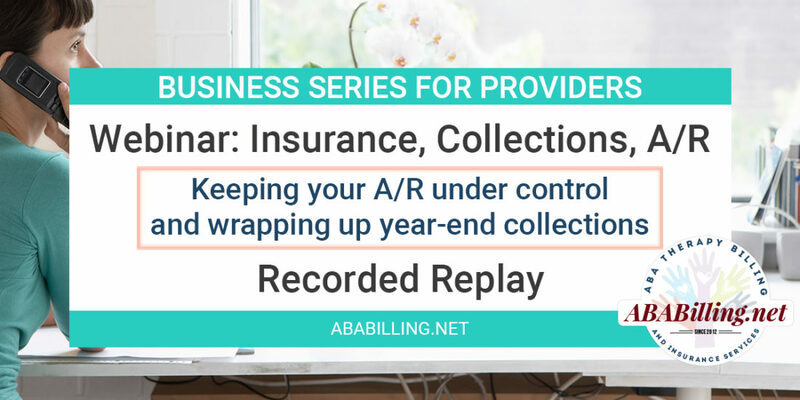 Keeping your A/R under control and wrapping up year-end collections. As you begin a new year, it is always nice to close out a prior year and start fresh. This webinar covers tips and processes for tracking and resolving old A/R issues, dealing with high deductibles, and keeping your cash flow consistent. We also cover questions regarding writing off bad accounts from previous years, pursing outstanding insurance payments, and recoding adjustments in income for contracted insurance rates.